With a team of highly trained and professional employees, the NEAS mission is to deliver reliable marine resupply, as well as, container, packaging and project planning services for destinations across Canada, including the remote Eastern and Western Arctic. Sealift and packaging is our business but customer service excellence is our specialty. Our growing NEAS fleet of modern Inuit-owned vessels, our flexible sailing schedules, along with our heavy lift and efficient cargo discharging capabilities, make NEAS the top choice for sealift, and it is ultimately the NEAS team that delivers the superior customer experience at each point on the way. Our growth at NEAS is based on talent recruitment, vessel and equipment acquisition, and unparalleled knowledge of the unique technical, operational, environmental and social imperatives that are key for success in Canada’s Arctic and beyond. At NEAS, we are driven by principles of corporate social responsibility, diligent corporate governance, cooperation and respect among stakeholders, and conducting all business with integrity. NEAS operations are guided by corporate values that place people, community and service at the heart of our business. NEAS supports and promotes the success of people – our employees and customers alike. NEAS directly supports the sustainable social and economic development of local communities by competitively delivering reliable arctic sealift services while respecting local environments. 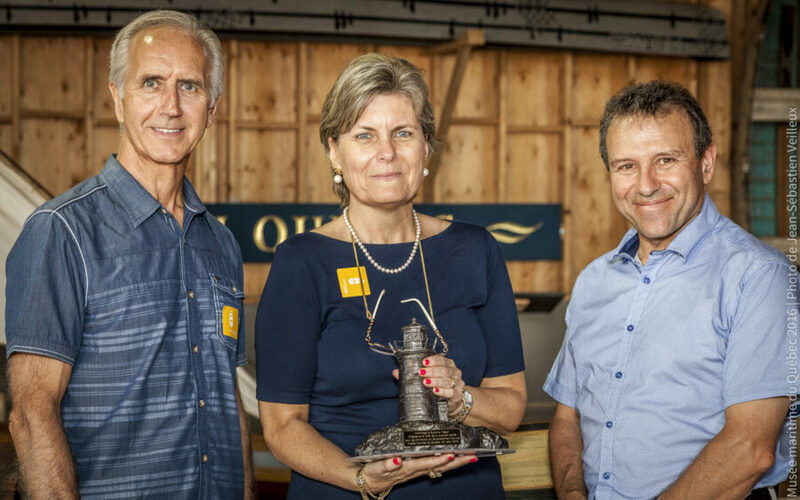 NEAS generates opportunities for local Inuit to meaningfully participate in economic development in the essential marine transportation business. NEAS delivers unmatched training, employment, job promotion and ownership opportunities. The NEAS corporate structure is tailored to deliver a superior customer service experience for our diverse customers. 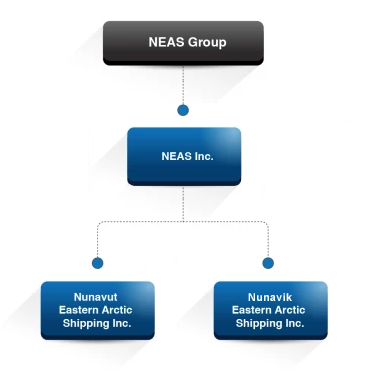 The NEAS Group Inc. consists of Nunavut Eastern Arctic Shipping Inc., Nunavik Eastern Arctic Shipping Inc., and NEAS Inc. Established in 1998 and headquartered in Iqaluit, Nunavut Eastern Arctic Shipping Inc. is mandated to reliably deliver superior marine transportation, marshalling, packaging and container services for customers across the Baffin, Kivalliq and Kitikmeot regions of Nunavut. Nunavut Eastern Arctic Shipping Inc. is governed by a Board of Directors with majority Inuit representation and ownership, including shareholders registered as Nunavut Businesses and local Inuit Firms. Established in 2011, Nunavik Eastern Arctic Shipping Inc. is a majority held by Nunavik’s Inuit Birthright Corporation, Makivik Corporation. Its mandate is to deliver superior essential sealift and resupply services for the 14 communities across Nunavik and to capitalize on emerging opportunities from the Government of Quebec’s Plan Nord. NEAS Inc. is mandated to charter and operate NEAS vessels in the Canadian Arctic. NEAS Inc., through Transport Nanuk Inc. management, provides qualified expertise to deliver superior customer service and operate ice class vessels, as well as provide highly specialized and custom lightering operations in the Canadian Arctic. Transport Nanuk Inc. is committed to service excellence, safe and environmentally sound operating practices. The Company promotes such policies as its Health, Safety and Environmental Protection Policy, as well as, its ISM Certification which confirms quality assurance and compliance with its Safety Management System and requirements of the ISM Code. NEAS Group Inc. is jointly owned by Makivik Corporation, Nunavik’s Inuit Birthright Corporation, and Transport Nanuk Inc., whose shareholders are Logistec Corporation and The North West Company. NEAS Group Inc. is governed by a Board of Directors with Inuit representation and ownership. NEAS significant experience in handling a wide range of cargo types, including dry goods, store merchandise, vehicles, construction materials, heavy equipment, structural components, dangerous goods, defence and mining materials for a range of private and public sector customers. NEAS is equipped to accommodate and service every site and community in all regions across the Eastern and Western Arctic, and feeder and container service operations between Canadian ports. NEAS has established standard operating procedures to adapt to the lack of local marine infrastructure. We deliver local discharge capacity along with our reliable resupply services. NEAS is the packager of choice for governments, retailers, major building contractors, construction suppliers, military contractors, and many individual clients who have come to rely on our exceptional service, including containerization. With a front-line local Inuit sales team, Inuk checkers on the beach, and the introduction of online sealift and packaging reservation systems, NEAS leads the industry in local customer satisfaction. NEAS has world class financial and business administration practices. NEAS management and Masters have deep knowledge and experience with all relevant international, federal, provincial/territorial and local statutes, regulations, standards, codes and best practices for all aspects of marine operations including labour, safety and environmental protection. NEAS understands what permissions, permits, licenses, and certificates of approval are required for Canadian marine transportation, but moreover, has the experience and management systems in place to navigate these processes efficiently and with extreme attention to due diligence, compliance and administrative precision. Contact us to learn how NEAS in your supply chain will contribute to your corporate social responsibility targets.